“There has been a shift of enormous magnitude and it has begun from the centre of Gaia. This is the blinding flash of Gaia’s life force where she has reached her threshold and created a deep desire to flush away all negativity arising from the imbalanced presence with humanity in this expression before you. This extreme cleansing has been activated by Gaia herself, and reflects an instantaneous flushing up through every upper layer of the planet. This has been a blast of plasma light that is known for its profound quantum activity. This plasma light energy has been felt by many and it has been recognized as a deep healing action that originated within Mother Earth herself. Plasma energy is a magnetic energy in that it aligns along the principle of the Soliton Wave. Deep thorough cleansing is required to inactivate all disharmonious activity upon Gaia’s expression of form. Nuclear activity, oil drilling, salt mining, fracking, chemical proliferation and rain forest clearing are all activities that leave a legacy of infinite destruction upon this earth that not even you are able to see the devastating implications. This was a prime directive, from Gaia herself, to effect a permanent change and adaptation to the current energetic reality based on the Magenta Ray of Creation. A discussion about how Separation Consciousness must be processed through the completion of the Inner Work in order to align with Unity Consciousness, and therefore, the Ascension. This is a message from the Agarthans who have come forward to us as we were recently guided to connect with Shamballa, the Inner Earth Capital City. It is clear from this message that they wish to emphasize the absolute necessity of clarifying our roles in the ascension from a perspective of inner reflection. Through clarifying our own roles (and this means in effect how we envision our engagement in this process of expansion into a higher frequency), we will have to have reflected upon ourselves to the greatest depth possible. It also means that when we think we have reached the core of our beingness, we will have yet more inner work to do. It is a fact that the focus of evolution stems from the starting point of the Self. When self-assessment begins, it must continue until such time as there is a pervading sense of peace, compassion, unconditional love and acceptance of Self, in a field of unending grace and serenity. And these emotions must be sincere, not arising from a place of unnatural inner control. Indeed, until we achieve this goal, we will remain in the energetic field of separation consciousness and the unity consciousness will be beyond our reach. The Rainbow Ray is the fully integrated Ray of the Fifth Dimension. It is a reflection of a Unified Creation where all is united in a foundation of love, grace, harmony and everlasting peace: The principles of Unified Presence. We are the Crystalline Beings of the Rainbow Ray, and we greet you today with so much joy – infinite joy! You have made the leap into Wholeness! You have returned to Wholeness and now before you is the test of time – can you accept Wholeness? It is the moment of accepting that you each are on your own Soul Journey. You are each now fully responsible for your own growth, your own soul evolution. Family and friends around you are merely the testing ground for how high you will rise, how far you will evolve. It is not your concern what others say or do. What matters is what You say and do. Many of us are aware of the new values of energetic expression coming our way over the recent days and I was not at all surprised when I was called to sit in the presence of the Sun’s light, for what I was told would be a special healing experience to help me balance these beautiful incoming energies within my Body~Mind~Spirit (BMS) system. 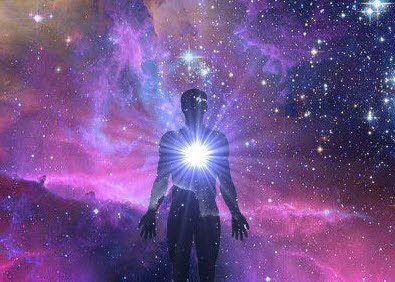 As I am very curious as to what is unfolding energetically around me in every moment, I willingly obliged and envisioned a full restoration of my BMS system. I was not disappointed! I laid back on the lawn chair with a view to the glistening Mediterranean sea and closed my eyes to the brilliant gold light that penetrated my being, a deep golden-peach light that has intensified over recent weeks and has also taken the concept of beauty to a whole new level, and which also brings opportunities to heal ourselves on our continued expansion upwards in frequency to the higher dimensional realities revealing themselves around us.